Okay first I would like to point out that the number for this issue is 104448! Anyways, the future party is here and we have a different design for a magazine. 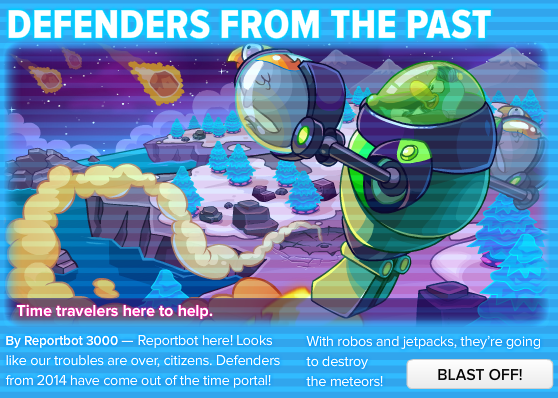 So we went to the future to help our penguin buddies in the future against Protobots meteors. Protobot is back and he's more dangerous than ever! We're all getting ready to fight against Protobot and his meteors. 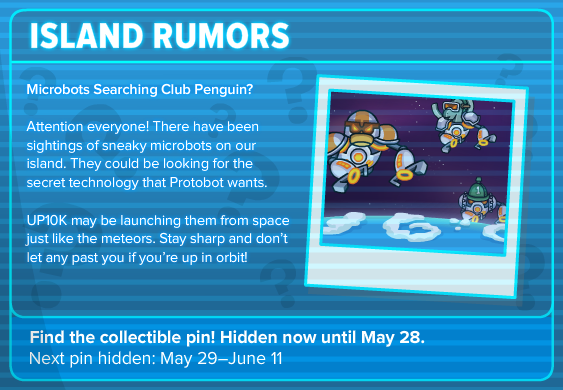 You can get ready yourself by giving your penguin a jet pack or transforming into a robot! Tourdude 3000 really gave us a guide for the party. 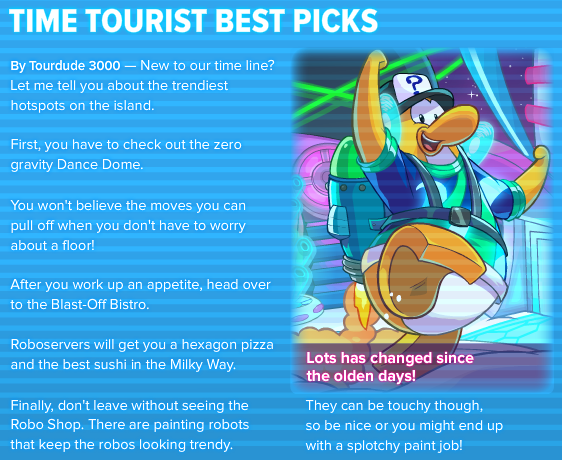 He tells us where to get future food, where to play future games and even where to find robots that paint! Alright, so you know what to do! These microbots are bad and are working for Protobot. If you see one be sure to let others know!